IRM Design - Built in four months, very fast boat. 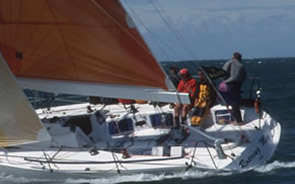 3 first places and one second in 2000 commodores cup, before being dismasted. Winner Hamble Spring Series and Spring Championship 2003.